Dekart Digital photo frames is the affordable alternative to advertising displays. Digital advertising photo frame automatically launches advertising video or informational slide show with promotional images. 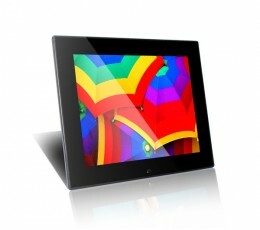 Photo frame attracts customer's attention with vivid video and sound. It allows marketers to quickly and easily update promotional materials, start bright dynamic videos without printing and proofs. This is a tangible benefit for retail sales, restaurants, office, and service businesses! Buyers are likely to pay attention to Digital Signage screen advertising with your offer, if it is an active movement with sound. When is it useful to buy a digital advertising frame instead of the traditional advertising displays!? It's very simple: if you have a short term project, and the screen must not work for more than a year or two, it is advantageous to buy a digital photo frame. To expect that it will last more than 1-2 years is not worth it. If you have a long-term project, choose a professional digital signage display, it will faithfully work about 8-10 years or more. Unlike professional advertising monitor, photo frame have plastic case, and have minimum screen protection against scratches or damage. Digital advertising photo frame with 7 inch screen 4:3, also known as a commercial display, equipped with high quality LCD display, built-in ad player, stand and multi function remote control. Automatically play video from external USB drive or internal memory. The Digital signage photo frame has built-in stereo speakers for audio playback during slideshow. Electronic photo frame with 800x600 res..
7 inch digital photo frame for showing promotional videos and slideshows automatically activated at power-up. With scheduling, automatic repeat, and other useful functions. Promotional digital photo frame with aspect ratio 16:9 allows you to easily show normal JPG presentation slides, videos and photographs of this type. The combination of clear shapes, bright advertising display and black exteri..
8 inch digital signage photo frame is a simplified digital signage video display, which is installed on the table, on the wall or in the window. Can be installed vertically and horizontally. The proportion of the sides of the advertising screen photo frame is 4:3. LCD advertising player frame read files from a flash drive, and automatically show them when power connected. 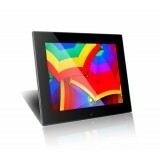 You only need to copy me..
SQFRAME-101 - digital photo frame with bright advertising screen 10 inches 16:9. It provides all the benefits of advertising on electronic media - shows video, graphics, and plays the sound. 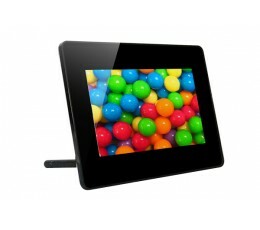 Photo frame for digital signage can be easily installed anywhere, both vertically and horizontally. The combination of a pronounced rectangular shape, bright display, and a stylish glossy black frame gives thi..
What really distinguishes this electronic sign from other similar systems is a powerful built-in media player for advertising. It gives you the ability to play many formats of media files – the main of which are AVI, MPG, JPG, and MP3. The user simply takes any media file, copy it to a USB or SD flash drive and inserts it in this advertising digital frame. That's all you need to play the..
15-inch digital photo frame SQFRAME-150 for digital signage is a LCD advertising monitor with built-in digital signage player that shows video clips and graphic banners on the 15 inch screen with 4:3 aspect ratio. 15 inch DPF has a matte black case made of ABS plastic, meets all the requirements of elegance and classic design. The advertising display is covered with reliable acrylic glass that pro..
Big advertising digital signage photo frame SQFRAME-185 is a cheap analog of advertising monitor with advertising player, which is hung on the wall, is installed in the rack or vertical surface – a table, countertop, reception. 19-inch advertising video screen of SQFRAME-185 includes everything you need to quickly create and display dynamic content of the video and graphical banners. Digita.. Premium Design lets you install a large digital photo frame for advertising SQFRAME-215 in a small shop or business center and high-end stores and hotels of premium and luxury class. Digital signage photo frame is equipped with a bright screen, built-in digital signage player that plays picture, video and audio information automatically and continuously in a circle. 19 inch Digital advertis.. The secret of the attractiveness of digital photo frames is that the LCD screen, constantly updating pictures or video looks much more attractive than ordinary photos, whether at home or at work. Digital advertising frame, unlike many other advertising devices, automatically launches advertising video or informational slide show to continuous display videos and JPEG images on screen. These electronic displays can show a video files recorded on a flash card or internal memory. 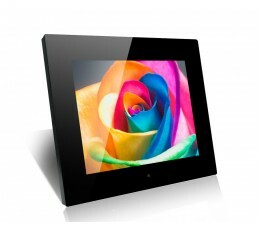 Some models of digital photo frames can be configured on advertising certain products and services at a certain time. This mini-Digital Signage system provides you with many options for changing slides, the time of each slide, showing company logo, that result in stronger company brand and the advertised product awareness. 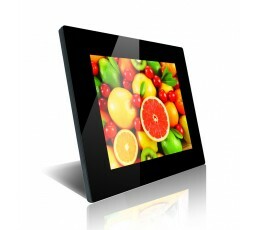 Our catalog includes frame with excellent characteristics of LCD LED screens. 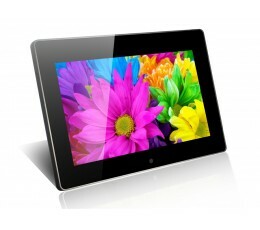 Led screen picture is visible in any room, with bright light and in the dark. Most models are available with a screen size of 7 to 24 inches! 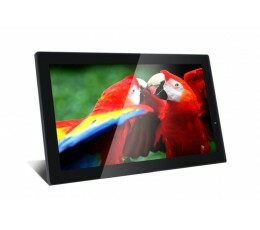 In addition, digital photo frame with glossy edge is modern alternative to conventional screens with a matte black or white frame. However, we do not want to limit designers in the choice of frame of the screen, so we produced promotional photo frame with the upgraded design and traditional edges. This makes digital photo frames suitable for decorative purposes and for the purpose of advertising goods and services. 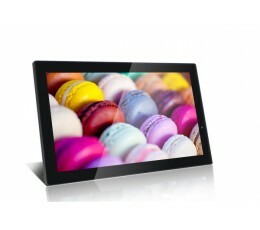 Why should you buy a Dekart digital photo frame for advertising? 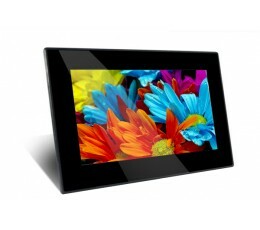 LCD photo frames are available in stock and by order with short term production. This allows us to quickly send the goods to the customer. The equipment is safe and has the required certificates of CE, RoHS, FCC.